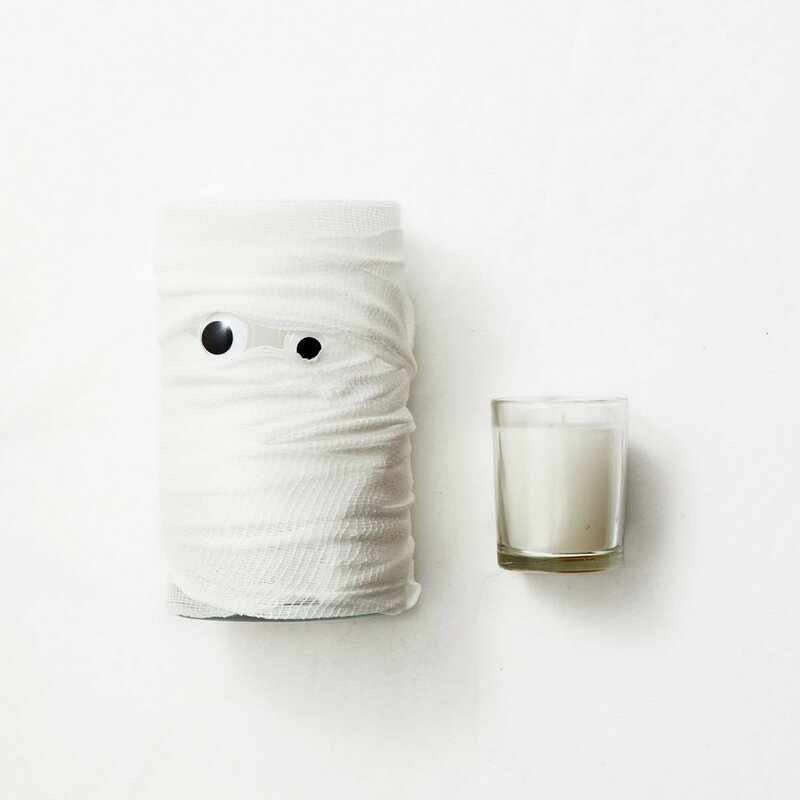 This simple mummy candleholder project makes it easy to get wrapped up in Halloween. 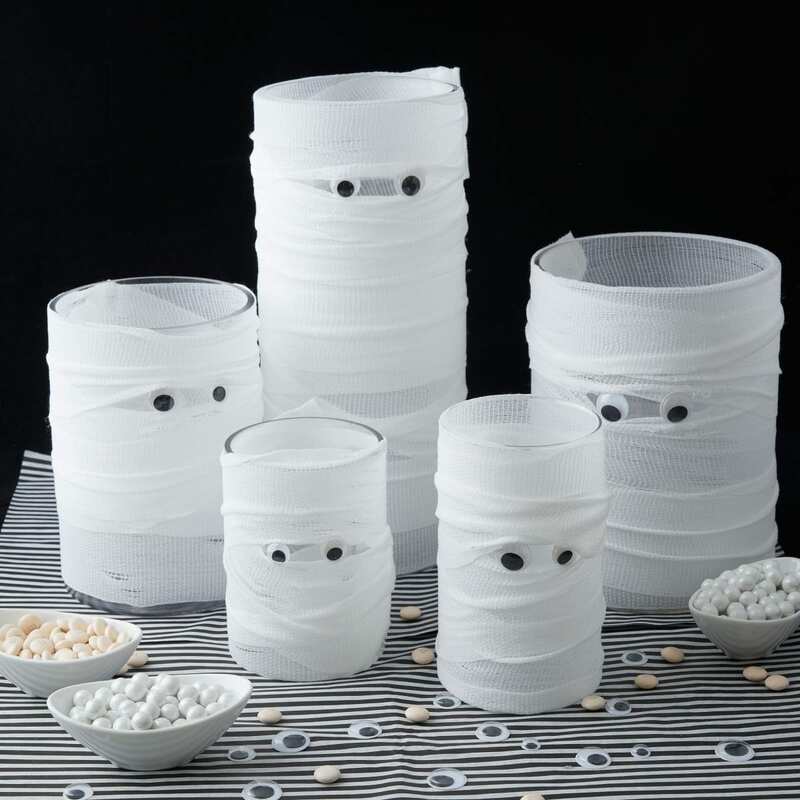 Just cover cylindrical vessels in gauze, stick on a pair of googly eyes, and you’ve got a spooktacular centerpiece for your Halloween party. 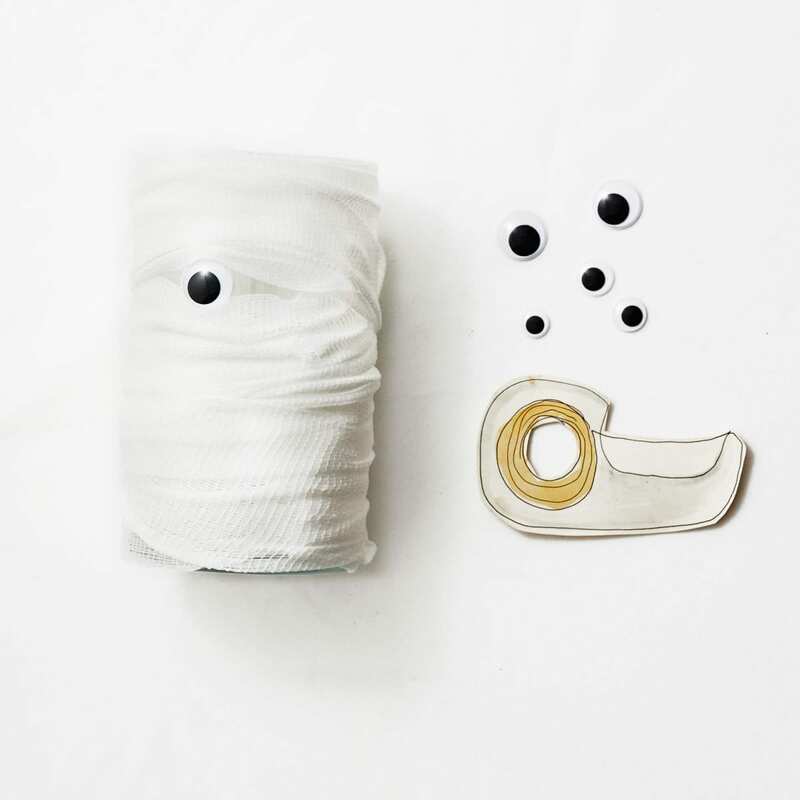 Or, line the mummies up and down your walkway to light the path for trick-or-treaters (because mummies are always looking out for kids!). 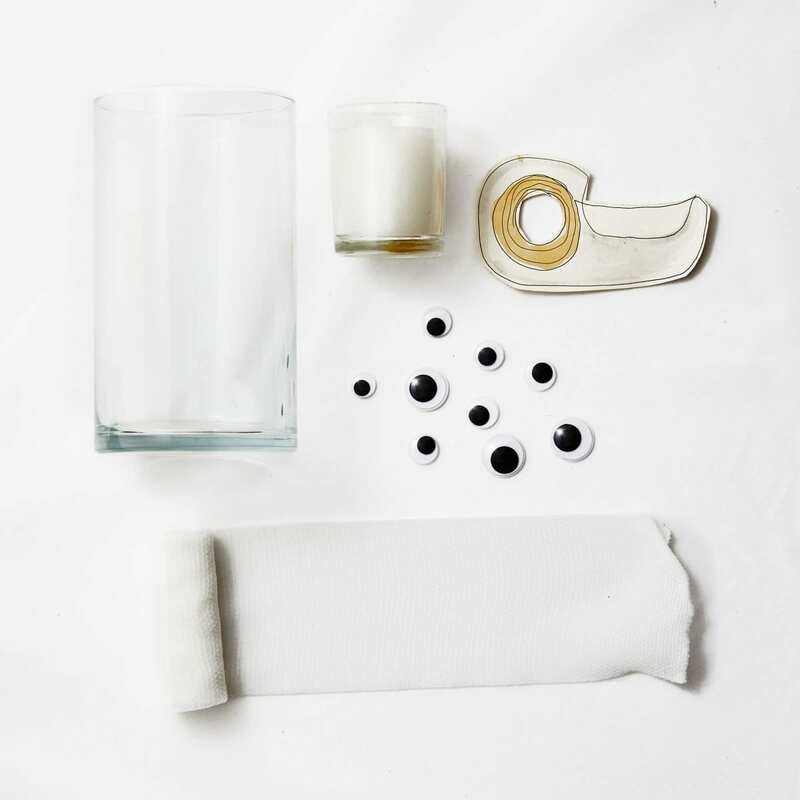 You can even skip the candles altogether and fill with candy, flowers, or just set out empty as decor. 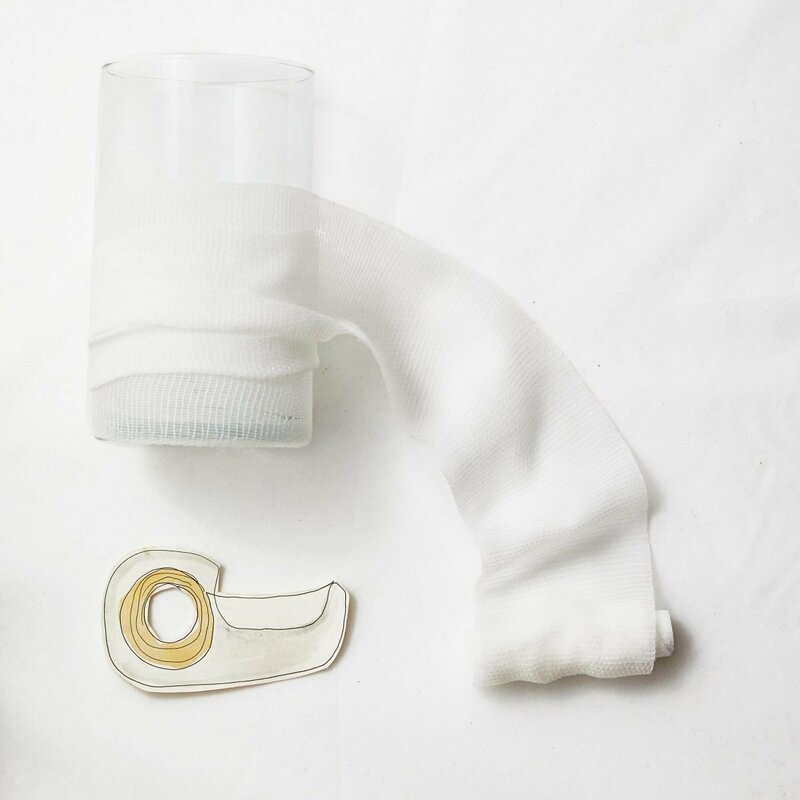 Step 1 Unroll gauze so you have one long strip. Tape one end of the strip to the bottom of the glass and wrap around, overlapping layers, until the whole glass is wrapped in gauze. Step 2 Using your fingers, move strips around so that they separate, creating space for light to shine through intermittently around glass. Stick two googly eyes on the front. 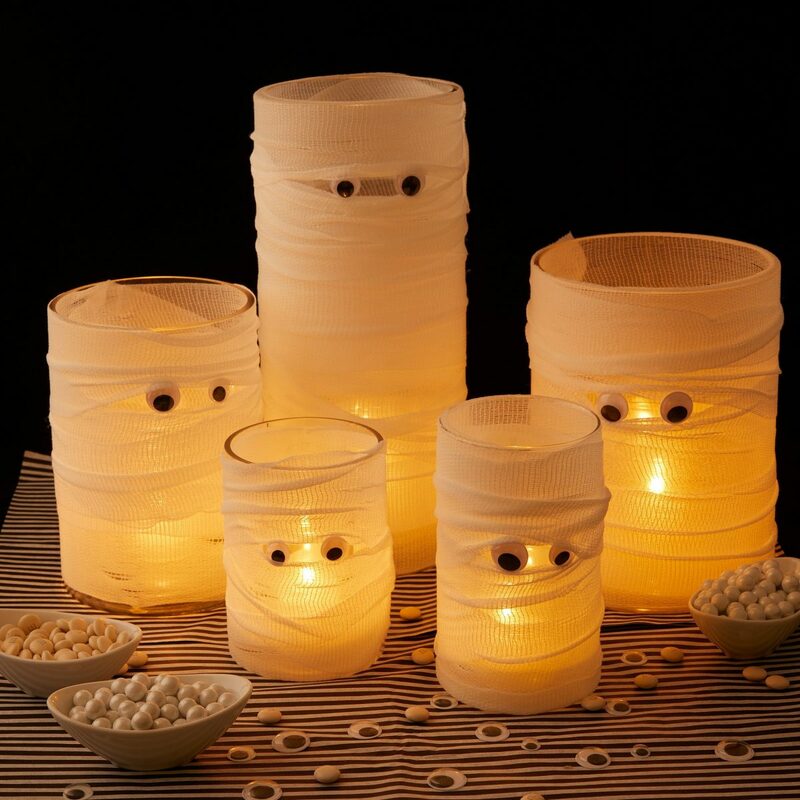 Step 3 Place a candle inside, illuminate, and let the haunting begin!